Here’s a picture of dad working here; I think in 1955. Our little grocery store anymore, or what used to be”. Today I’m mourning the loss of yet another icon in my community, one that spanned three generations of family ownership. I’ve felt for some time now that the independent businesses we have lost WILL be missed; their presence will be noted…..eventually. I believe people will reach a point of becoming sick of the “all under one roof” and “every store the same” kind of experience – and that one day, they will look back and wonder how we got to all be exact copies of each other’s communities. 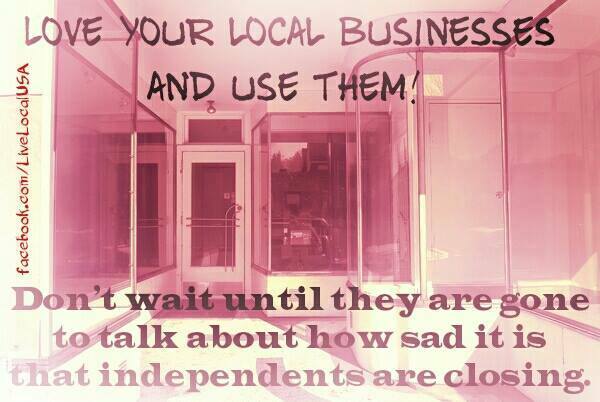 We can’t stop mentioning how valuable our locally owned establishments are, because they make up WHAT we are. I’m not sure when doing nothing after school fell out of favor. As a kid, I was a pro at nothing. We all were. Francie Arenson Dickman’s essays have appeared in The Examined Life, A University of Iowa Literary Magazine, The Chicago Tribune, and Literary Mama. She lives outside of Chicago with her husband and twin daughters and is currently completing her first novel.